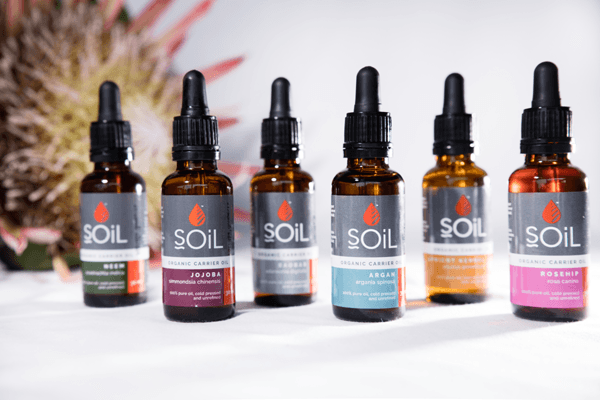 SOiL was born out of our family managed, organic essential oil farming operation in Zululand, Kwa Zulu Natal, South Africa. It is here that we have been growing and distilling aromatic plants for their precious oils since 2001. 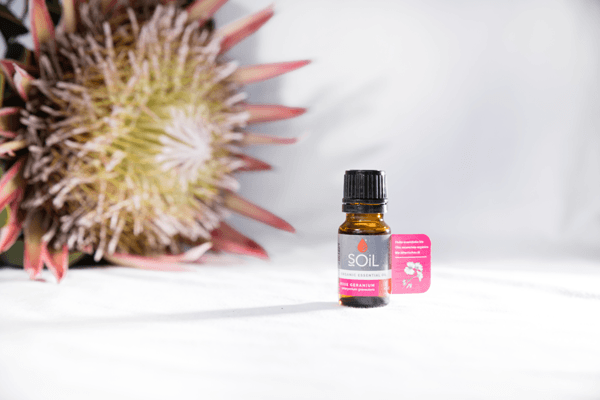 As an eco-ethical range certified by ECO-Cert , SOiL was the first company in South Africa to sell a complete range of 100% certified organic essential oils, many of which we grow ourselves on our organic farm in Zululand. 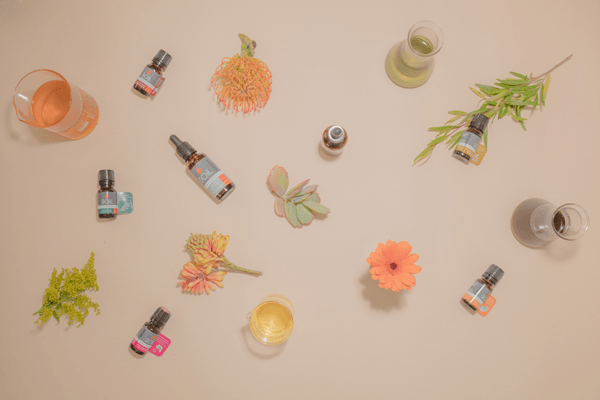 We also launched South Africa’s first line of certified organic massage oil blends and body care products, which we expand and grow year by year. As we continue to grow our range and expand our business we never lose sight of the fact that our customers’ needs come first, which is why the quality of our product and service, the authenticity of our brand and our strong sense of commitment to our ecological and social ethics remain our key focus. The way we are able to maintain these strong social and ethical guidelines is by closely managing our product through manufacturing, packaging and distributing directly from our farm, thereby encouraging local economic growth, creating employment and utilising local, renewable resources. We are unique in that we farm, process and market our own products. By owning most of that supply chain we are able to control and understand what determines the quality of our products. PURITY: With no petrochemicals, no parabens, no synthetic fragrances or colorants. As your guarantee of the products integrity, the ingredients used in our products help you without harming the environment. SOiL products are certified organic by ECOCERT, France. In South Africa there are no laws regulating the use of the word “organic” on skincare labels and there are many products on the market which claim to be organic. The reality is that unless a product is certified you cannot be sure whether it is truly organic. Our organic certification is issued by an independent third party (ECOCERT), who on an annual basis inspects our farming and processing facilities to ensure we meet strict organic requirements and remain truly organic; rather than just saying it. 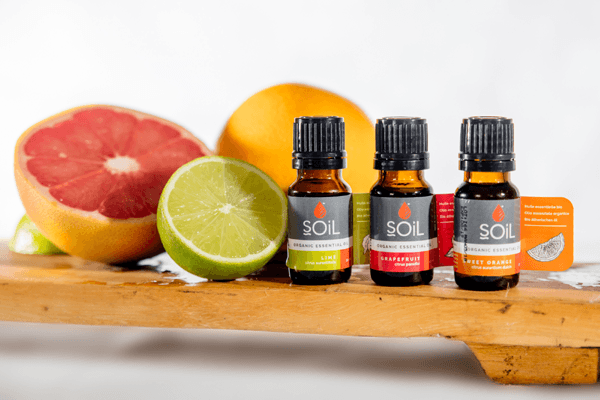 SOiL is not merely a brand of essential oils. 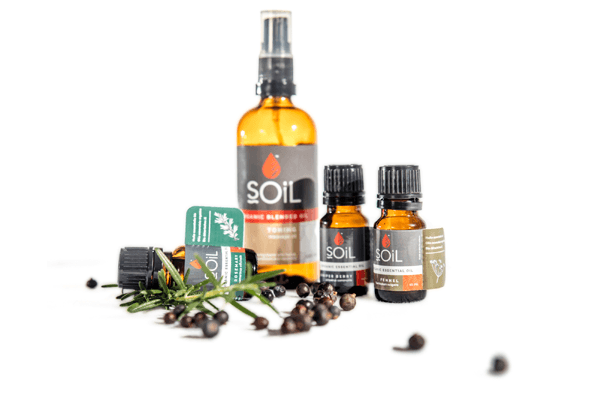 We don’t just buy in bulk and repackage for retail, we actually farm many of the plants we use and distil the oils on our organic farm in Zululand, South Africa. 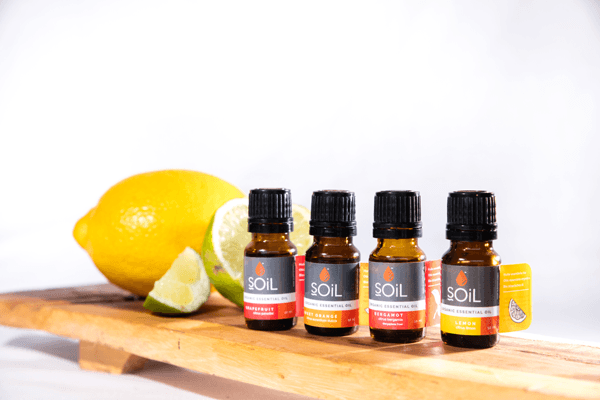 We understand essential oils intimately and know what determines quality and we demand this same quality from the other organic farmers who supply us. 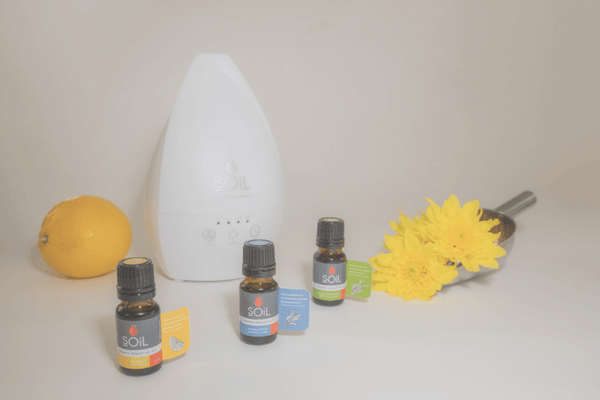 CERTIFIED ORGANIC ESSENTIAL OILS ARE THE BETTER CHOICE FOR YOU AND THE ENVIRONMENT. Growing our plants organically means that no chemicals ie. pesticides or fertilizers are used. It has been proven that using these chemicals kills off micro-organisms in the soil, therefore reducing soil diversity. These chemicals also pollute our groundwater, killing off fish and marine life as well as polluting our drinking water. 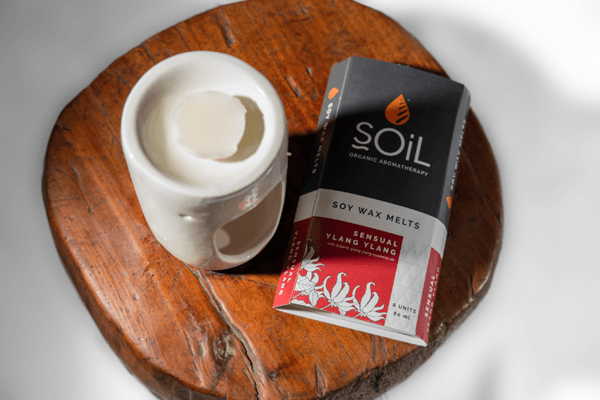 Not using these chemicals results in nutrient-rich, fertile soil which nourishes the plants and protects water quality, plant life and wildlife. Therefore farming organically leads to a cleaner and more natural environment. 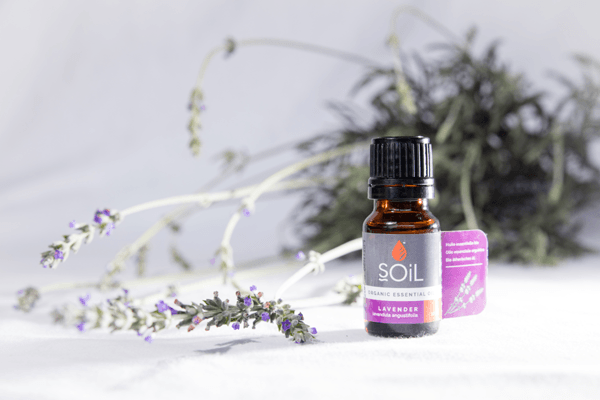 It takes a great deal of plant material to create even a small amount of essential oil and due to the way that essential oils are produced; residues of pesticides in concentrated form may appear in the oil if not produced organically. Organic farming ensures that the end product is free of many of these residual toxins and results in a purer and more effective oil. This is comforting to know when you consider that 60% of what you put onto your skin is absorbed into your body! From the plant to the shelf, we minimise environmental impact. We also support self- sustained community initiatives. We are also actively involved in establishment and support of various projects which seek to uplift impoverished communities. Our brand provides a route to market for the products made by these communities.